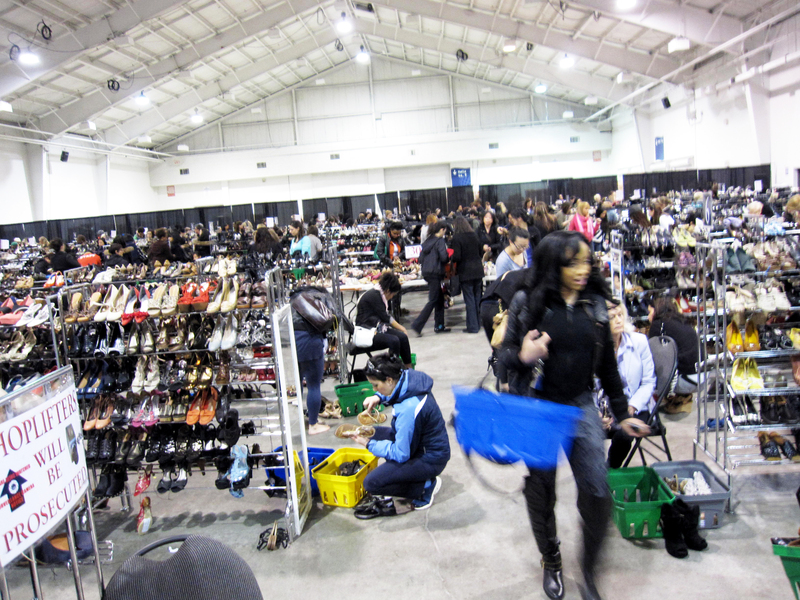 I went to the Petite Feet Sample Sale today, VIP day, and although I really wanted some colour block shoes, there wasn’t a great selection of the summer/fall styles I’ve been eyeing online. 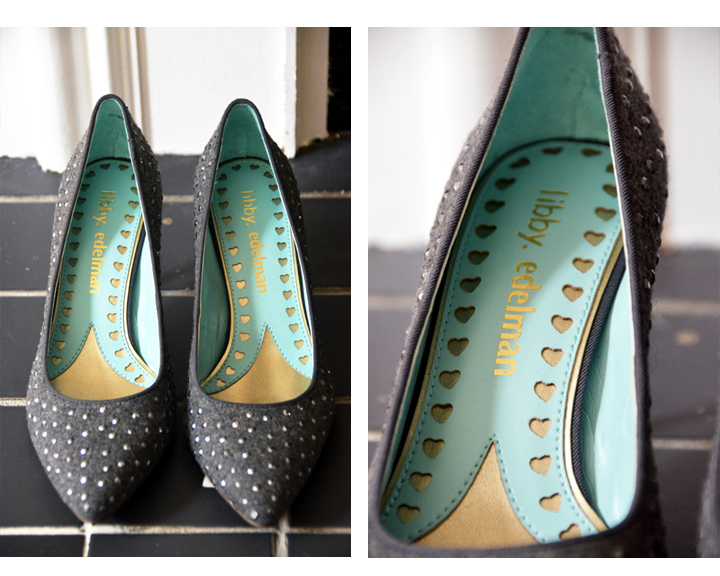 I did however, score myself a gorgeous pair of Libby Edelmans which are from her Fall 2011 collection, in a beautiful grey flannel with silver studs and a lovely silver heel. I adore the Tiffany blue colour and detailing inside the shoe. 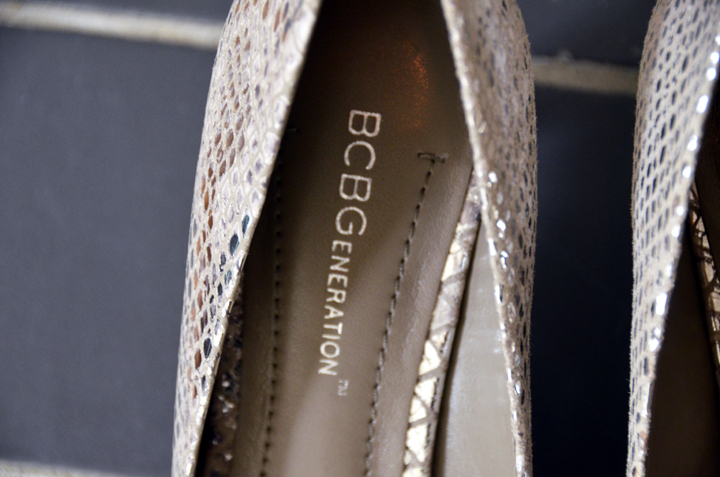 I also wanted a pair of shiny pumps for wedding season coming up this Spring/Summer, so I found a pair of cute open-toed BCBG pumps in a croc silver finish. Nothing like shopping at DSW, but not too shabby at $50 each, and I love that the Libby Edelman’s won’t be available until later this year. It’s always fun to see women carrying buckets FULL of shoes to the check-out counter…I did the same two years ago, but this year, I wasn’t as impressed. i have been good with my shoe shopping… as in, i won’t go into DSW at all. i have been trying ot save my pennies for a new pair of running shoes. 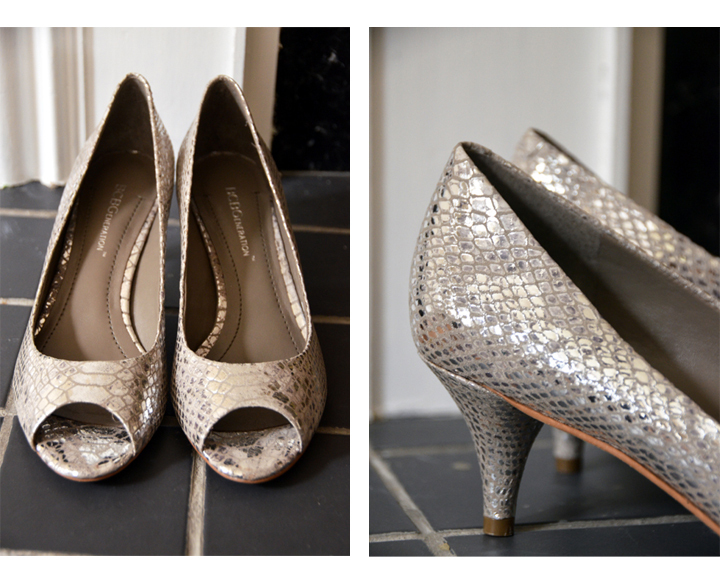 it’s hard being a responsible person when there are gorgeous heels and summer sandals to pine for. Hey Lan, you have so much stamina! Sale definitely not as good as prior years and the prices have increased as well. Was not impressed this year although the two pairs you scored are very nice. I left with a pair of sandals. Happy Easter !! Hi Mare! I agree, prices have gone up too! Glad you got a pair of sandals! oooh these shoes are amazing!